I may be just too dumb to understand but, how do you load the Magstrike part of the cluster or is it front loading? 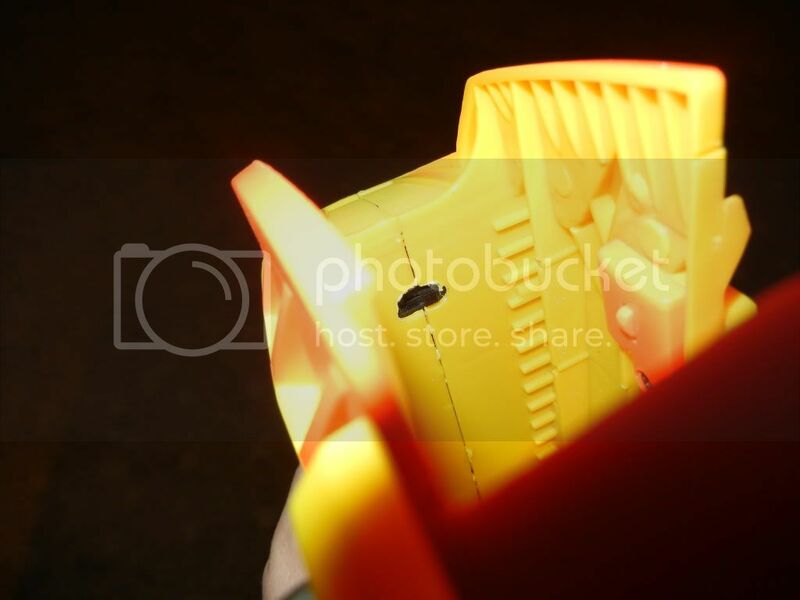 I put an indicator light on my magstrike, using the switch from the firefly and a random 2.7V red LED. The new location as well as the absence of external hot glue makes the whole thing look a lot cleaner. Clean indeed, and pretty Effeminate paint job. Also, I really like your style of mashing blasters together. Edited by moosa, 07 July 2010 - 10:34 AM. Fantastic paintjobs, too. How dangerous are bladder bursts in Magstrikes? I doubt they're dangerous at all. This will help you preserve the memory of the bladder though, keeping it strong throughout the years by not over inflating it. Also, it lets you know when to stop pumping in situations where you didn't empty the entire bladder - that's the main advantage. There's no reason magstrikes need to shoot more than 2 clips or ridiculous ranges. You'll destroy your bladder in the former and they're too inaccurate for the latter. Once I get a shoulder strap hooked up, it'll serve as an awesome compliment to my shotgun. @Moosa: Thanks. The longshot looks a little different now. I'm going to hopefully finish it soon, after I finish up a couple projects. Edited by Fome, 07 July 2010 - 01:04 PM. Can't say 'great PJ' now, but that's a very novel use of the 'scope', and effective tubing protection. What's the rubber band on the stock for? The rubber bands are just holding the gun together. Nothing is screwed in yet. 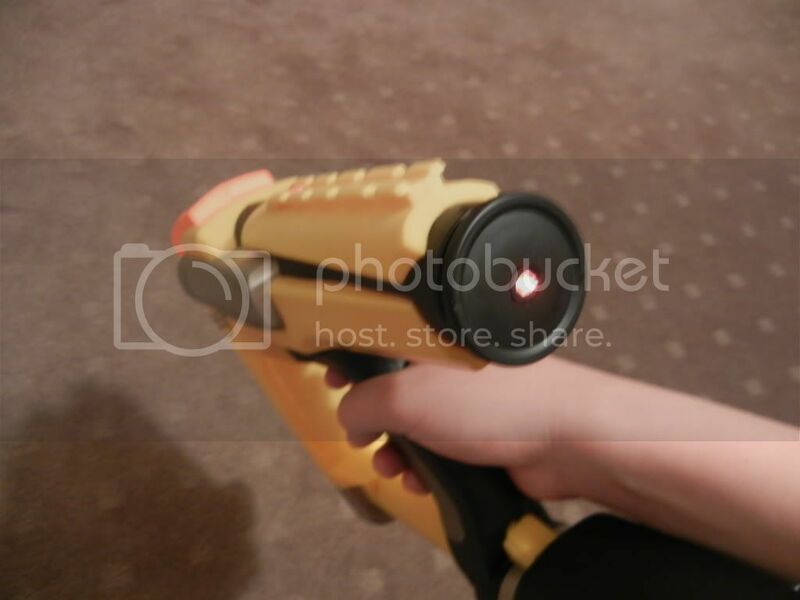 Has anyone ever destroyed a Magstrike bladder? I just posted in another topic that Captain Slug says the things are pressure rated to 600psi. Unless you have sharp pointy things in your bladder chamber, I have a hard time imagining how any nerfer could manage to "burst" a Magstrike bladder. In my years of lurking the forums, I think I've heard of 1 or 2 people popping a bladder (whether it's RF20, magstrike, wildfire, whatever), which yeah, was probably due to sharp bits inside the bladder housing or improper banding of the bladder, which leads to uneven wear and tear. By overinflating the bladder, however, you might destroy the memory of the rubber material, which would be similar in function to stretching a spring to get a temporary, yet damaging boost in power. Obviously, I haven't tested the limits of the MS bladder so take these claims with a grain of salt, but I'm not particularly willing to take my chances either. Again, the main advantage is that it gives you a visual (and cool) indicator of when your bladder has reached the back of the housing - which is useful in determining when you don't need to pump anymore. Has anyone ever destroyed a Magstrike bladder? I just posted in another topic that Captain Slug says the things are pressure rated to 600psi. I mentioned that the TUBING that connects the various pneumatic components has proven to be easily ruptured beyond 60 or 70 psi. That makes sense - the tubing and connectors are probably specced out for what they think are 'normal operating pressures' + some safety margin. 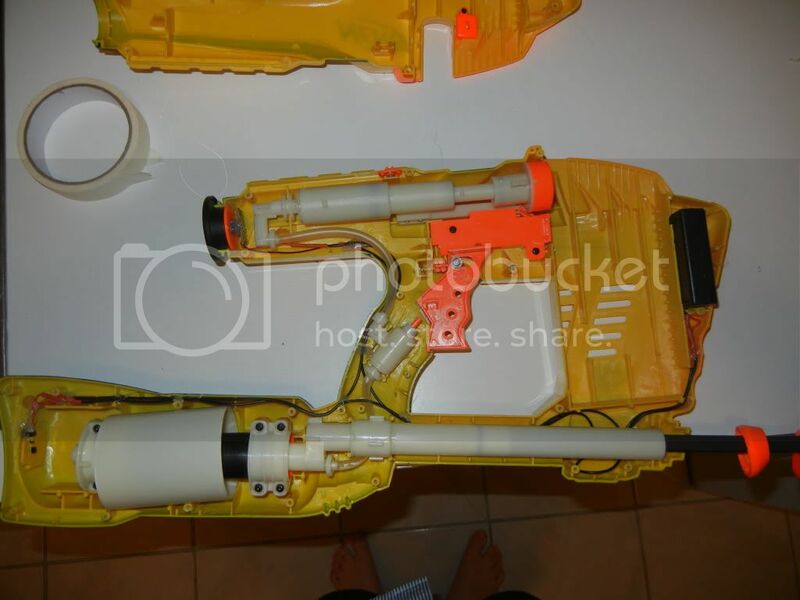 The stock bladder for an RF20 is pretty sturdy, and I'm guessing the MagStrike uses roughly the same material. Back to the mods, though - any more blasters in the same PJ theme of skulls and brown gusts? Langley Edit:This poster added new content to this thread. It's one of the very rare cases of a post in an old thread that is *not* a necro. Please stop reporting it. Nerf in Australia. Gotta love finding materials.